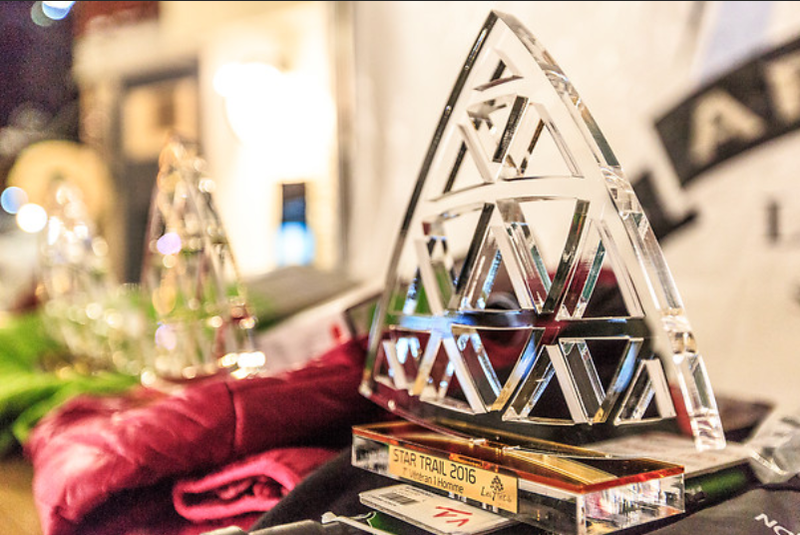 Discover all the awards of this 7th edition of Les Arcs European Film Festival! The Crystal arrow in partnership with Digimage has been awarded to the icelandic feature film Sparrows by Rúnar Rúnarsson. The Grand Jury prize has been awarded to the french film Bang Gang (a modern love story) by Eva Husson. The Public’s Choice Award, in partnership with France 4 has been awarded to the Irish film Room by Lenny Abrahamson. The award for best actress has been given to the actress Manal Issa for her performance in Peur de Rien by Danielle Arbird. 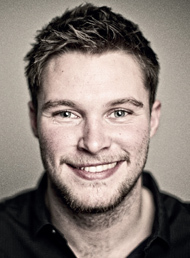 The award for best actor has been given to the actor Atli Óskar Fjalarsson for his performance in Sparrows by Rúnar Rúnarsson. The prize for Best Original Score, in partnership with the SACEM has been awarded to White Sea for the film Bang Gang (a modern love story) by Eva Husson. The prize for Best Cinematography has been awarded to Sophia Olsson for the film Sparrows by Rúnar Rúnarsson. The best short film prize, in partnership with Transfuge has been given to Sali (Mardi) by de Ziya Demirel as well as two special mentions awarded to Le repas dominical by Céline Devaux and Vous voulez une histoire? By Antonin Peretjatko. The students of Bourg Saint Maurice, Albertiville and Chambery have given the Young Jury Prize, in partnership with Engie to the film Bang Gang (a modern love story) by Eva Husson. The Cineuropa prize is awarded to a film produced or coproduced by a country that is member of the MEDIA program or the Eurimages program. 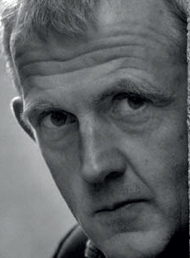 This year, the prize has been awarded to Bang Gang by Eva Husson. The Work-in-Progress prize, in partnership with Digimage has been awarded to Son of Sofia, the second feature film of Greek director Elina Psykou. 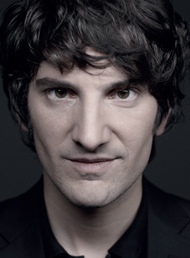 The Arte-Coproduction Village prize has been awarded by Rémi Burah to Disco Boy, a franco-italian project by Giacomo Abbruzzese produced by Juliette Sol from Stromboli Films. 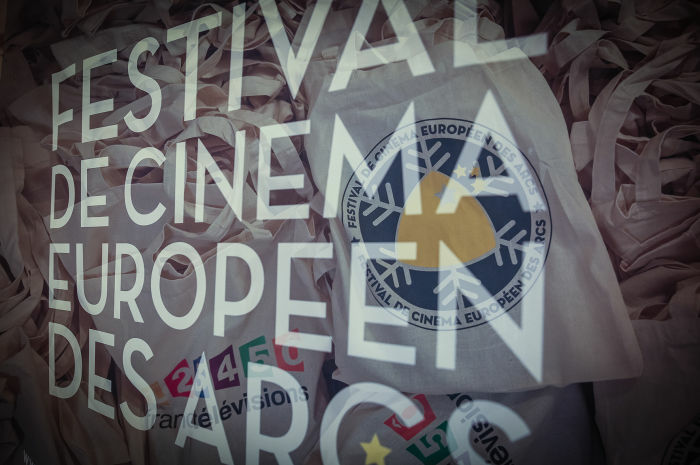 Review the 2015 program of Les Arcs European Film Festival! 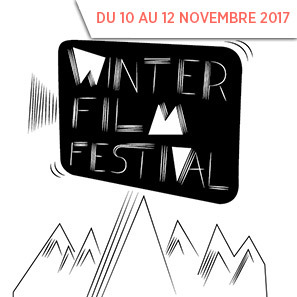 The major event marking the beginning of the winter season, the Festival is an opportunity for our visitors to experience here in France an ambitious and original programme of more than 70 films and, above all, to mix the pleasure of snow riding sports and the joys of the cinema. After each showing, the audience can chat with film crews (directors, actors) to make this gathering a moment of true sharing and an unforgettable experience. Every year... a featured country! This year, the countries of the former Yugoslavia are in the spotlight. Every year one or more European countries are highlighted. Apart from the individual attention they receive, a particular choice will enable devoted cinema fans as well as neophytes to enter the world of Yugoslav directors. Through this promotion of the diversity of European cinema and its talents, every film shown brings cultural values to the les Arcs European Film Festival: novelty, quality, originality and diversity. 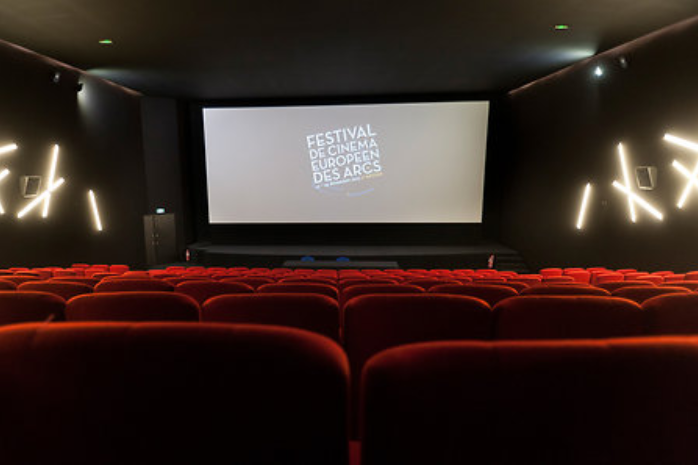 Amongst the works shown, ten films are in pre -première, 12 films are official entries for the Flèche de Cristal (crystal arrow), 7 films that have won awards in their countries of origin are being shown in Panorama, 12 films highlight the featured country and 8 films are suitable for an educational programme. Some high spots... for the professionals! This truly professional gathering is attended by nearly 900 guests from the world of film (directors, film crews, European film schools, producers, directors etc) who meet every year to bring new projects to light. Thus, the co-production Village, the “Work in progress ", the DIRE days and numerous lectures are all special moments promoting the spread of European cinema. Because our cherished blonde heads need to be made aware of culture as soon as possible, screenings have been set up specially for the pupils of the schools in our valley. A mini debate will take place after the showings to encourage discussion of the images they have seen and the subject tackled. 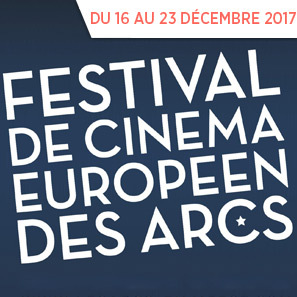 For the 6th edition of the Festival de Cinéma Européen des Arcs (European Film festival in Les Arcs) they are honouring Ireland from the 13th to 20th of December 2014 in Les Arcs ! An unforgettable, cultural event for all film aficionados, the festival highlights the diversity of European cinema and lets you discover some of the amazing talent that Europe has to offer. All of this set to the backdrop of the first snows of winter and cinema viewings all the live long day, with attending directors and actors, there’s a wonderful festive atmosphere that continues on during the evening with parties, entertainment, concerts and must-see DJ sets! >and for the first time at the film festival, musicals will be shown in the Music Village from the 12th to the 15th of December. 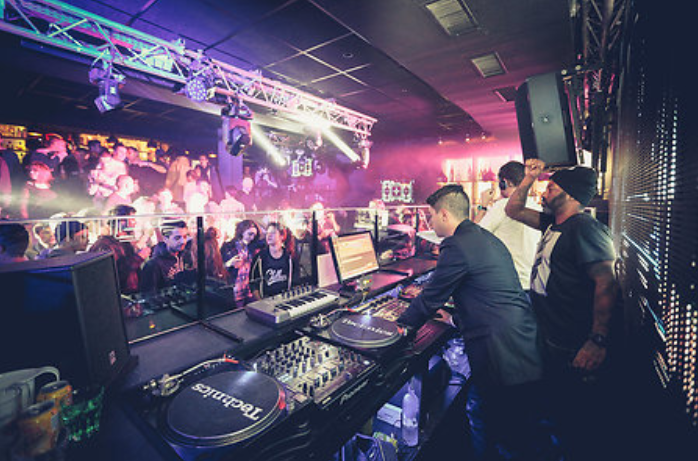 In the Music Village there will be: 3 days of concerts, DJ sets and showcases from 10pm until dawn for you to enjoy! 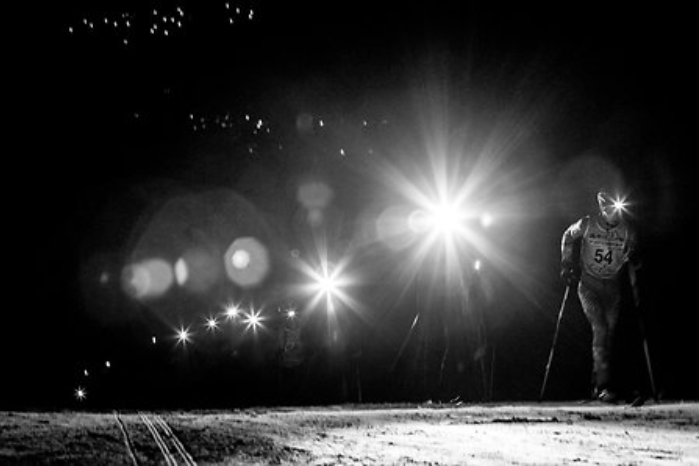 Are you itching to join us for this spectacular event in Les Arcs? Book now for special holiday packages and prices! The Fool de Yurity Bykow remporte la flèche de cristal ! 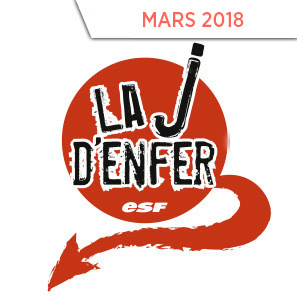 La 6e édition du Festival de Cinéma Européen des Arcs s'est clôturée vendredi 19 décembre. Le jury, présidé par le réalisateur Cédric Kahn, avec à ses côtés les comédiennes Odile Vuillemin et Linh-Dan Pham, le compositeur Stephen Warbeck, la chef opérateur Agnès Godard, le comédien irlandais Jack Reynor et l’humoriste Gaspard Proust a salué une sélection engagée et cinéphile, vraie photographie de l’Europe. Au terme d’une semaine consacrée au cinéma européen le jury a décerné 7 prix. Les lycéens de Bourg Saint Maurice, Albertville et Chambéry ont remis le prix du Jury Jeune au film The fool de Yuriy Bikov. 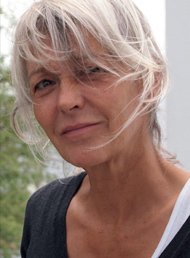 Le prix du Work in Progress a été décerné au film Pioneer Heroes de Natalia Kudryashova. 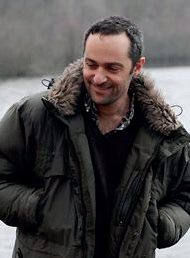 Le prix Arte – Village des Co-production a été remis au film The Voice de ​György Pálfi. It’s an explosive winter full of thrills that awaits you! 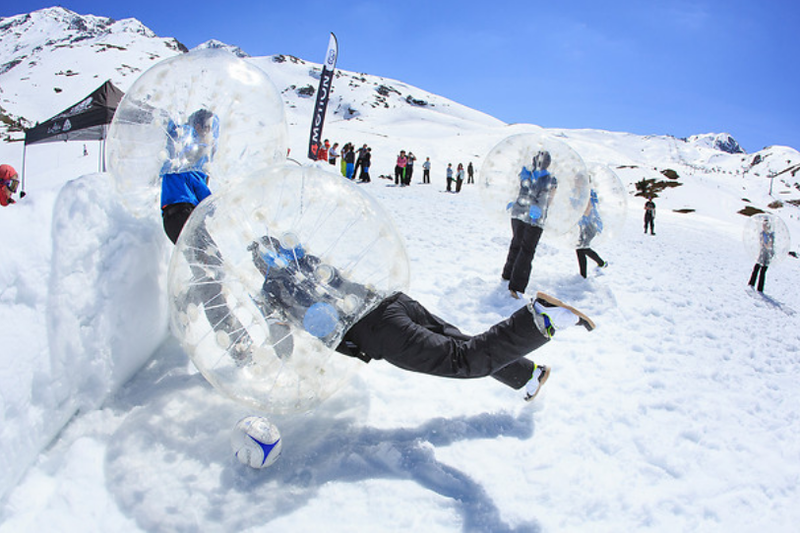 Between the film festival, skiing competitions, concerts and daily entertainments, you won’t have time to get bored! Whether you’re passing through or here on holiday, you will enjoy the pleasures of our sun-drenched mountains in a friendly and convivial atmosphere! 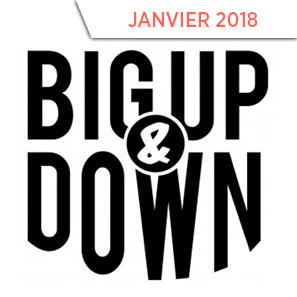 Under the direction of Thibaud Duchosal, professional freerider, native of les Arcs and producer, you will have the opportunity to attend the 3rd festival dedicated to snow-riding films. The principal idea: to demonstrate all the diversity associated with the mountains and the snow just before the winter. On the ski area’s long-awaited opening weekend, Les Arcs brings you a unique event combining skiing and gastronomy. Pick up your fondue forks! 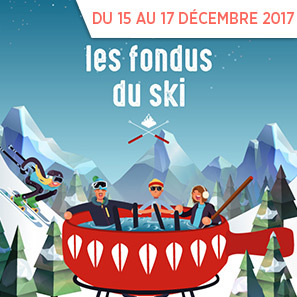 On the menu, on the pistes : fondue tasting, fun challenges, equipment-tests. 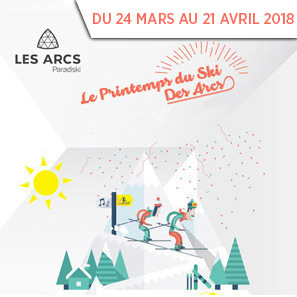 To get the season off to a good start and to make the most of the very first snows, Les Arcs is offering a date that is now unmissable for all film buffs. The latest les Arcs European Film Festival will showcase the eclecticism and dynamism of European film-making. 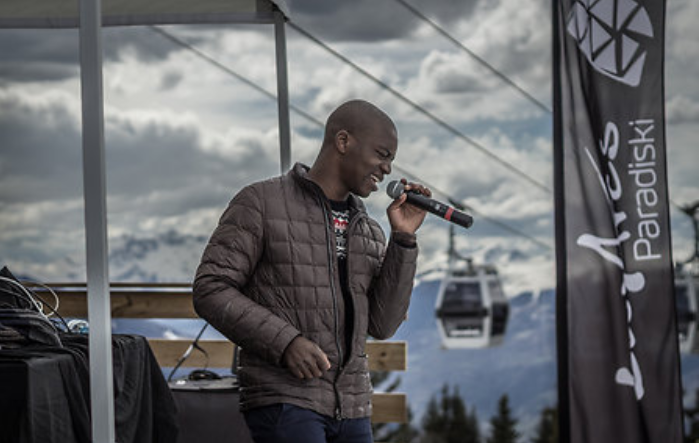 Unforgettable evenings, entertainments, concerts & DJ sets in the Music Village and films screened in the presence of the directors and actors will liven up your first week of the 2017/2018 ski season! 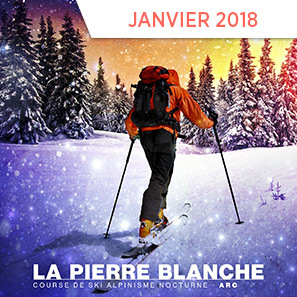 If ski-mountaineering gets your pulse racing and you’d like to try the night-time experience, the Pierre Blanche is THE race for you! 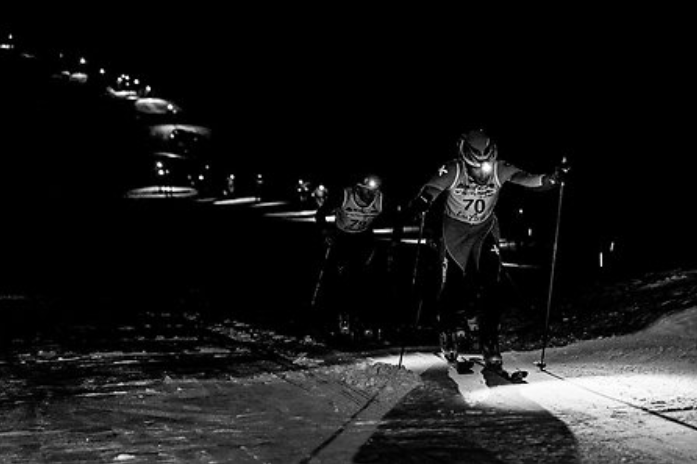 Starting in Arc 1600, on the piste dedicated to ski-mountaineering, youngsters, juniors, hopefuls, seniors and veterans, men and women will be able to indulge in this sport, which will be timed for the occasion. 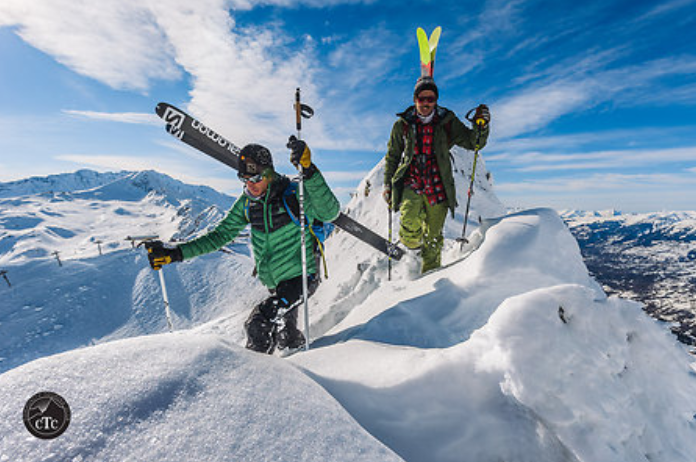 Do you like ski-touring? Do you like challenges? It’s time to take them up and the BIG UP & DOWN is the dream opportunity! 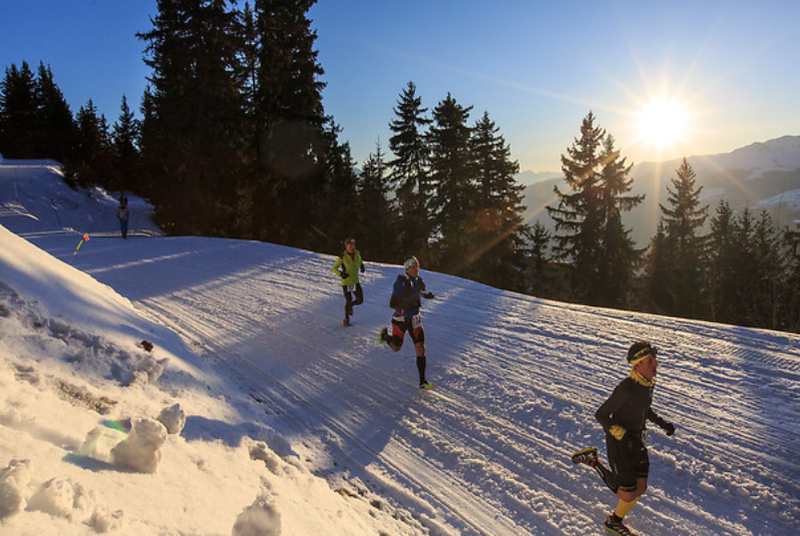 From 27 to 29 January, there are 3 events, as testing as they are exciting, awaiting you with such renowned sportspersons as Kilian Jornet, Enak Gavaggio and Adrien Coirier ! 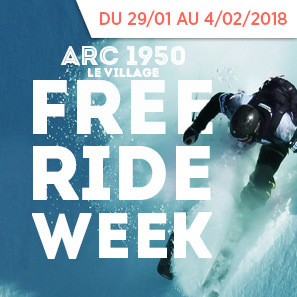 On the occasion of the Freeride World Qualifier competition, Arc 1950 Le Village will be playing host to freeriders from all over the world so they can try the best spots in the les Arcs ski area. Various levels of competition will be on the agenda: 1 Junior FWQ event, 2 FWQ 2* races, 1 FWQ 4* event (the only French 4* event out of the 12 world championship events). 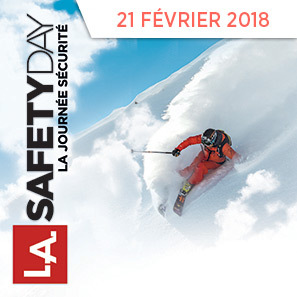 Make the most of the opportunity of your holiday to learn about mountain safety from mountainprofessionals who will be at the 6th Safety Day! 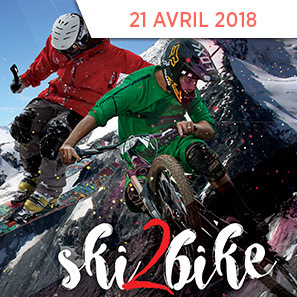 An initiative launched by the Skishop group with its Skiset shops, in the presence of the event’s patron and Team Les Arcs pro rider, Adrien Coirier. The idea: to learn about the work of the piste rescue patrols, meet the dog-handlers and their companions and to try out the different brands of equipment in the village! 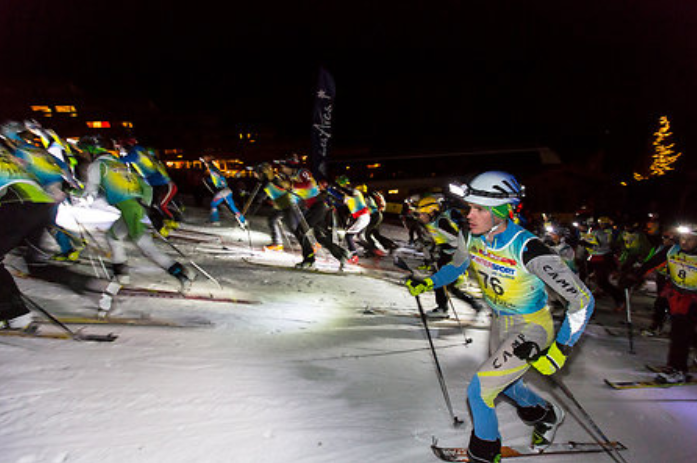 1 Day, 1 resort, 5 events in teams of 3… a great show and a festive atmosphere for this 2nd edition made in Les Arcs ! 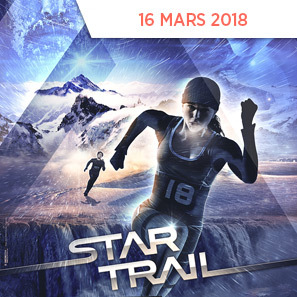 Come and take part in the les Arcs white trail: the Star Trail! 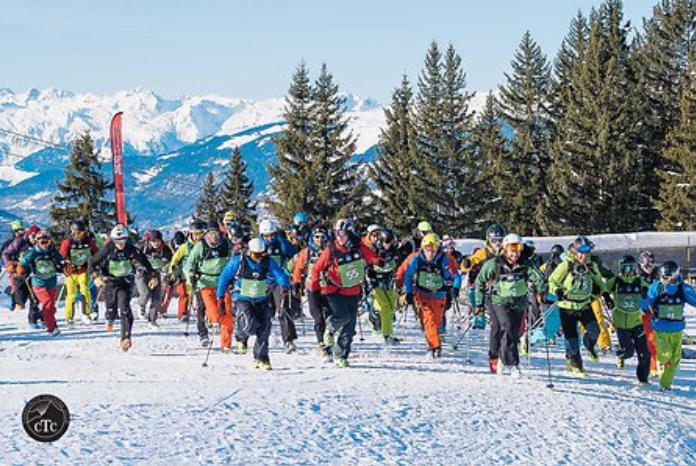 Challenge yourself on a course of nearly 11km and with 710m of positive height difference, by taking part in the first foot race on a groomed piste between Arc 1800 and Arc 1950. 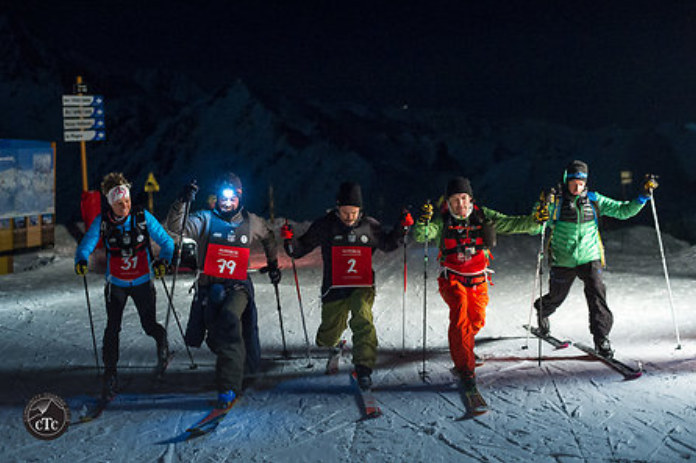 To give this “made in Les Arcs” race an exclusive touch, it will be run at night, through bewitching scenery by the light of the runners’ head torches. Skiing springtime, it’s skiing but not just …! Highline and Slackline demonstrations and introductions, Zumba sessions at altitude, beach party and BBQ at the Waterslide, golf competition on snow, concerts and plenty of other entertainments to punctuate to the last two weeks of your season! 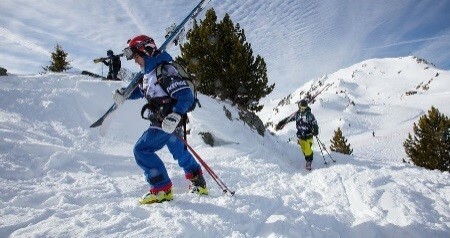 A good way of making spring skiing one of your best moments! 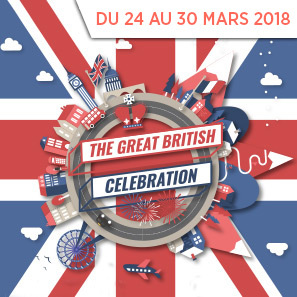 During the 4 days of festivities, the whole resort of les Arcs, from the station in Bourg-Saint-Maurice to the top of the Aiguille Rouge, will be decorated in the colours of the British flag. 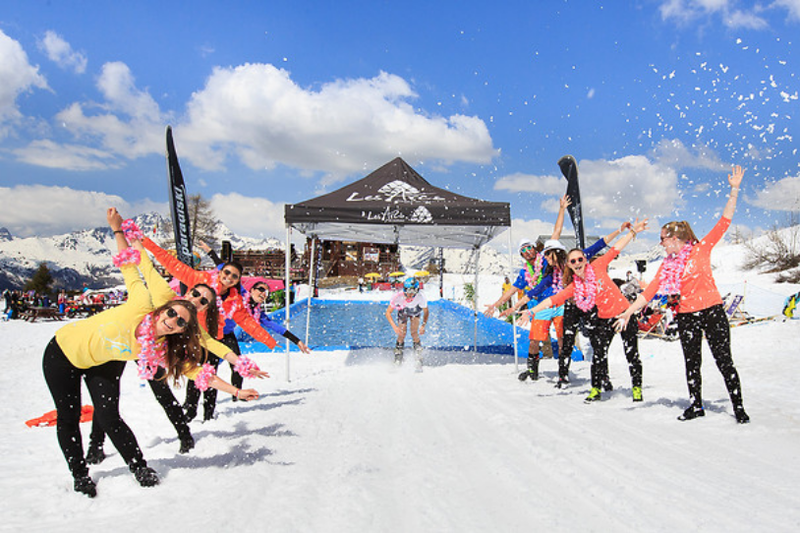 The event has just one motto: fun, partying and skiing! 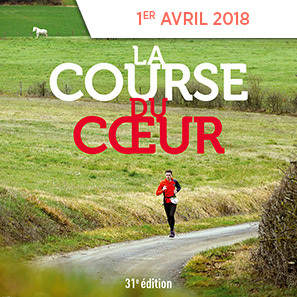 4 days and nights of intense effort between Paris and Les Arcs to support the noble cause of organ donation, is the challenge that the many valiant teams in the Heart Race are setting themselves! 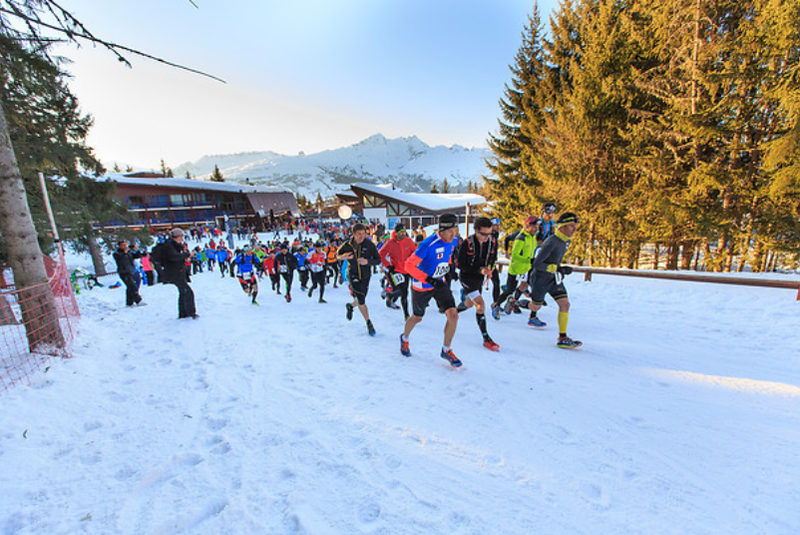 More than an association, it is a real sharing based on the humanist values of giving and sport that has spawned this race with which Les Arcs has been associated since 2009. 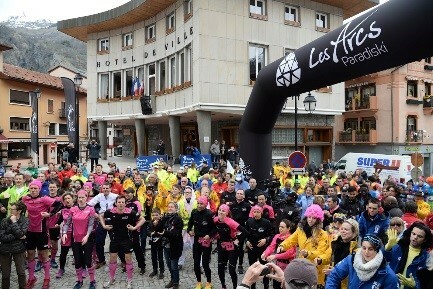 Come and support the volunteers and transplant patients when they finish in les Arcs! From ski tips to two wheels, it’s no more than a baton change...! And what better way than a change from skis to a bike to mark the change from winter to spring? With its enormous ski area and its varied summer mountain bike area behind it, les Arcs just had to combine the resort’s two-star activities. So, all that remains for you to do now is to choose your camp – ski poles or handlebars – and find a partner!